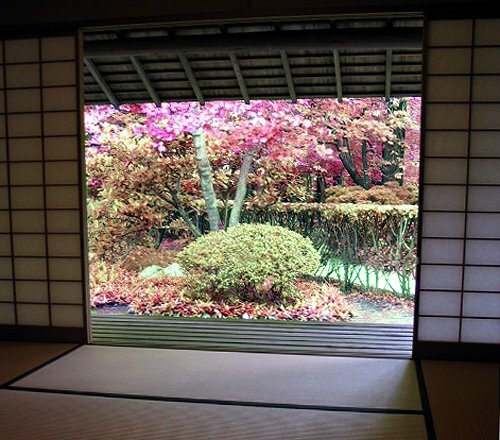 The history of the seasonal haiku blogs goes back to the spring of 2006, when a group of talented poets gathered together, to celebrate the season in haiku, tanka, haiga, haibun and senryu. To that purpose, they set up what was to become the very first of the seasonal blogs. From then on, the team haiku blog became a regular feature of every season and has continued to gather in strength, with new writers joining all the time. By the spring of 2009 it was felt that the previous system of starting a new blog, at the beginning of each season, was no longer adequate, and it was time to have a permanent home, now here in The Four Seasons of Haiku, in which we hope the stark elegance of haiku and other forms of Japanese style poetry, will continue to thrive and reach new heights. In 2006, Gerald England compiled an online anthology UKKU Spring Haiku of the year's spring poems. We are now also in the process of publishing a printed and illustrated collection of poems which have appeared on the blogs between 2006-2009. But none of this would have been possible without the consistent effort and encouragement of those authors who, from the beginning, took the time and trouble of setting up and administering a new site, each season. Some of those authors are Alan Summers, Alison Williams, Ashi, Gerald England, Isabel, J.Andrew Lockhart, Mandy, Matthew, Paul, Sangeet, Steve and Rachel Green. Apologies if any name has been omitted in error, please contact 4Seasons to have your name included. A community of haiku poets recording their experience of the passing seasons in haiku, tanka, haiga, haibun & senryu. To contribute to The Four Seasons, see "how to join"